Congratulations to Fran Shaw for her #1 International Bestseller, Lord Have Murphy! 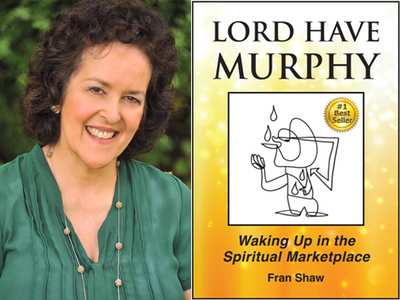 Fran Shaw, Ph.D. has been inducted into the Bestselling Authors International Organization for her bestseller, Lord Have Murphy: Waking Up in the Spiritual Marketplace. Fran Shaw, Ph.D. is a longtime practitioner in a spiritual discipline. She is a university professor and an award-winning author whose books (read more at FranShawBooks) include Notes on The Next Attention, Writing My Yoga: Poems for Presence, 50 Ways to Help You Write, and the new #1 amazon bestseller, Lord Have Murphy: Waking Up in the Spiritual Marketplace.